Sports massage therapy is geared toward athletes of every kind, from world-class professionals to weekend joggers. The particulars of the sports massage technique are specific to the athlete's sport of choice. Sports massage focuses on areas of the body that are overused and stressed from repetitive and often aggressive movements. 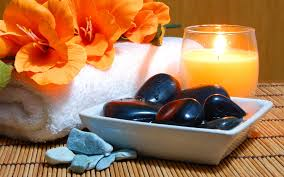 Combining hot stone therapy with a full body massage provides a very healing and effective experience. It also has a sedative effect that can relieve chronic pain. In addition to the use of stones as an extension of the therapist's hands in deep tissue massage, LaStone Therapy involves a spiritual element that opens energy channels (chakras) in the body, unblocks memories, and brings about spiritual healing. Deep tissue massage is a type of massage therapy that focuses on realigning deeper layers of muscles. It is used for chronic aches and pain and to loosen contracted areas. Common problem areas addressed are a stiff neck and upper back, lower back pain, leg muscle tightness, and sore shoulders. The therapist manipulates muscles that are below the surface of the top muscles and the connective tissues. Therapeutic massage incorporates a variety of advanced modalities that enhance the body’s natural restorative functioning. Light to firm touch is used to release tension, relax muscles, increase blood and lymph circulation, and impart a sense of calm. 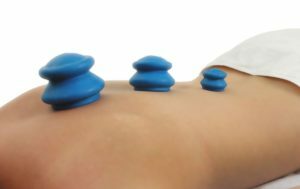 Cupping is thought to release tissues deep inside the body, relax tense muscles and ease stiffness associated with chronic back and neck pains, migraines, rheumatism, and fatigue. Some athletes have been known to use cupping therapy to naturally improve performance and reduce stiffness, muscle cramps, joint pains, and scar tissue caused by injuries. As blood flow increases within vessels and capillaries, tissues receive much-needed nutrients and oxygen. We handle all our appointments through a convenient client portal. Click the button and scroll down to "Menu of Services" to request an appointment type, day, and time.